So luxurious, so beautiful, and so delicate! 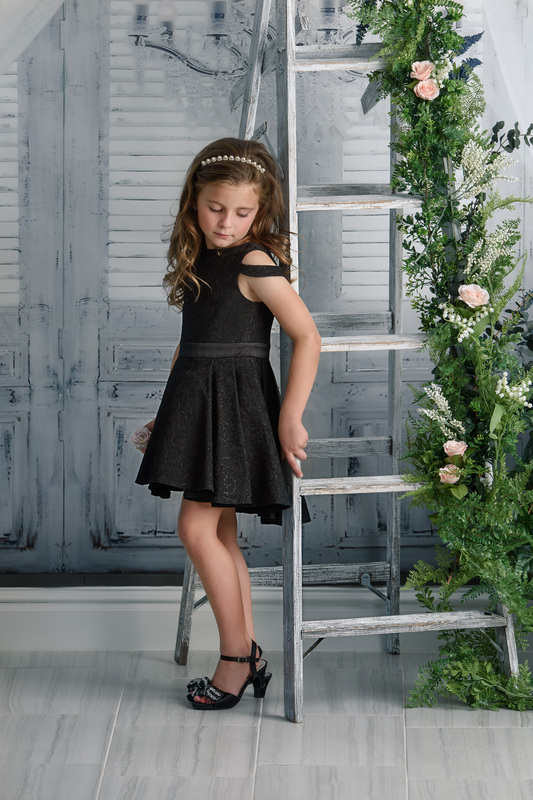 The dresses are made with textured black fabric and soft tulle. They are elegant, timeless, and looks so flattering on with low shoulder-line. 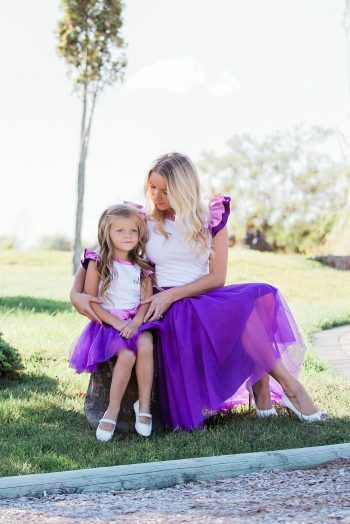 Skirts feature high-low design and multiple layers of tulle to create fullness. Dresses are fully lined. 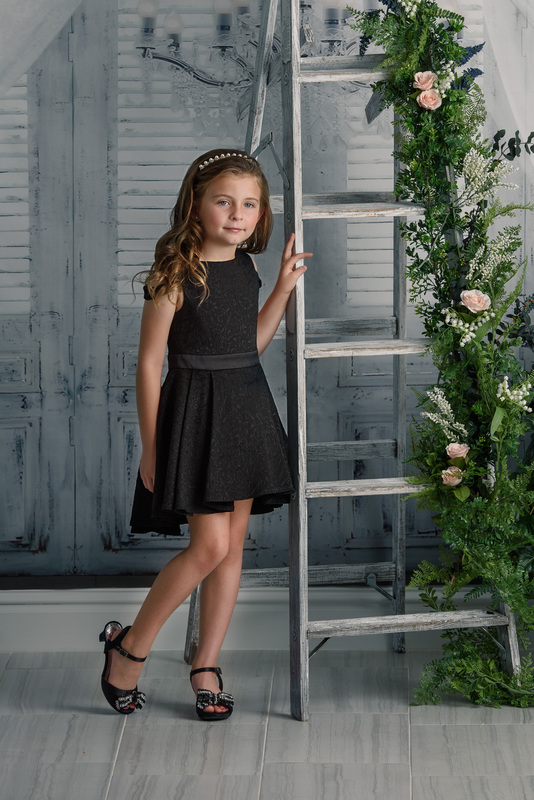 Model 5’8″ and wearing size S. Girl model is 6 years old and wearing size 4-6Y. 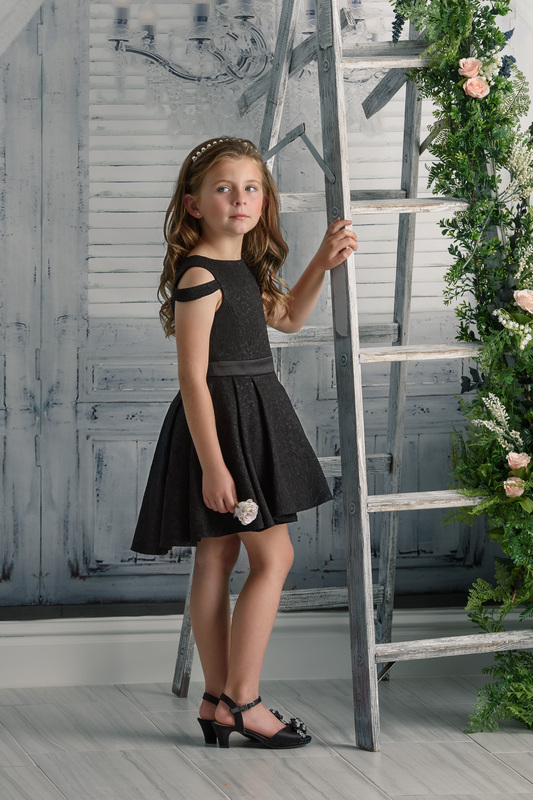 Coordinating dress is available in Girl’s sizes. Main material 35% Cotton, 65% Viscose. 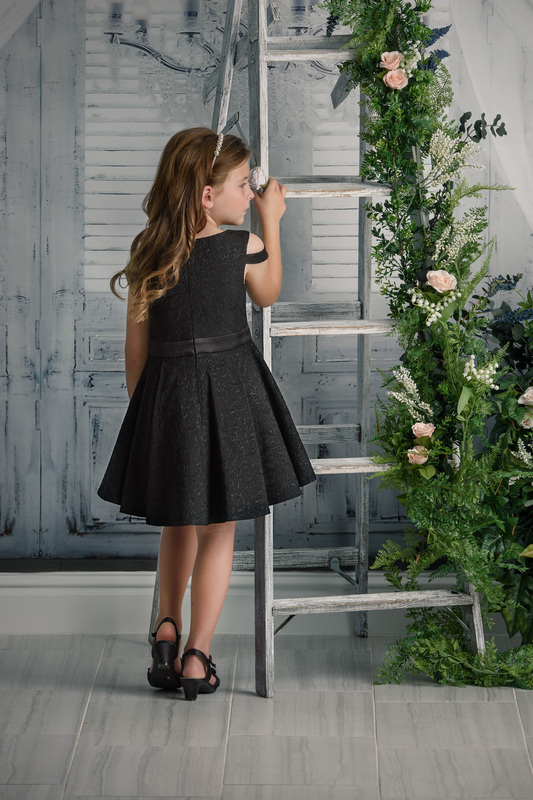 Tulle and Lining: 100% Polyester. Stunning design features high-low skirt, luxurious textures material, and beautiful shoulder-line.